To pass laws and protect the public, the government needs to gauge the widespread risks of drunk driving. Since 1973, the government has been getting this information by conducting a National Roadside Survey of Alcohol and Drugged Driving. They survey, which is supported by Mothers Against Drunk Driving and by the Insurance Institute for Highway Safety, has been conducted five times since 1973. Now, however, ABC News is reporting that an attempt to obtain the data this year has caused significant controversy nationwide. Many outraged motorists view the actions taken to obtain data as an abuse of power and a violation of constitutional protections. The issue of motorist’s freedom versus public interest in protecting against drunk driving is one that comes up frequently, including issues related to the legality and propriety of drunk driving checkpoints. While the government does need to protect people’s rights, it also needs to ensure that intoxicated motorists are kept off the road and don’t cause serious accidents. Crash victims can be compensated for collisions with the help of Boston drunk driving lawyers, but prevention is always preferable to taking action after the accident. The National Roadside Survey of Alcohol and Drugged Driving is conducted in 60 cities throughout the United States. The data collected generally provides the best and most comprehensive evidence of how prevalent impaired driving is. In conducting the survey, motorists are randomly selected by either a private contractor working for the National Highway Traffic Safety Administration (NHTSA) or by a uniformed local law enforcement officer. The motorists are directed into a nearby parking lot where they are questioned about their drunk driving habits and where they are asked to take a breathalyzer test. The motorists are also offered monetary payment if they are willing to either answer a more extensive written survey and/or if they are willing to provide blood and saliva samples. Federal officials claim that they stress the voluntary nature of the survey. They report that there is a large sign at each of the survey sites saying that participation is optional. They also claim that the survey is anonymous, and that the police presence is only there in order to provide security and to safely divert motorists from traffic when they are selected. Drivers who voluntarily complete the survey and who are found to be impaired are reportedly offered a ride home or put up in a hotel. Motorists, however, say differently. They indicate that they felt forced to turn into the parking lot and that it was not made clear enough that they didn’t have to participate. Having a police presence can make motorists feel coerced or frightened to say no. 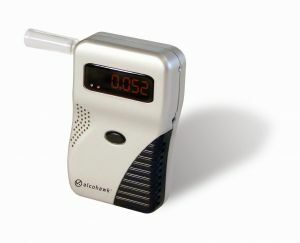 Further, a passive alcohol sensor is able to collect a breath sample from the motorist prior to providing his consent or refusal. These motorists concerns are certainly valid, and many local law enforcement agencies have refused to partner with the NHTSA in conducting the survey. With so many objections to these efforts to collect data, it seems that the NHTSA should explore alternative options for the laudable and important goal of preventing drunk driving accidents.